Hyundai Motor India Limited (HMIL) have unveiled the first official design render of its upcoming small hatchback ahead of its domestic debut by Diwali. 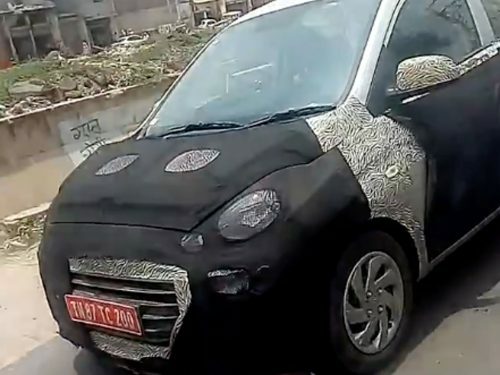 The AH2 codenamed hatchback is expected to bear the production name Santro with a possible suffix and will reportedly replace the entry-level Eon. It will be slotted between the price ranges of Eon and top-selling Grand i10 in the lineup. 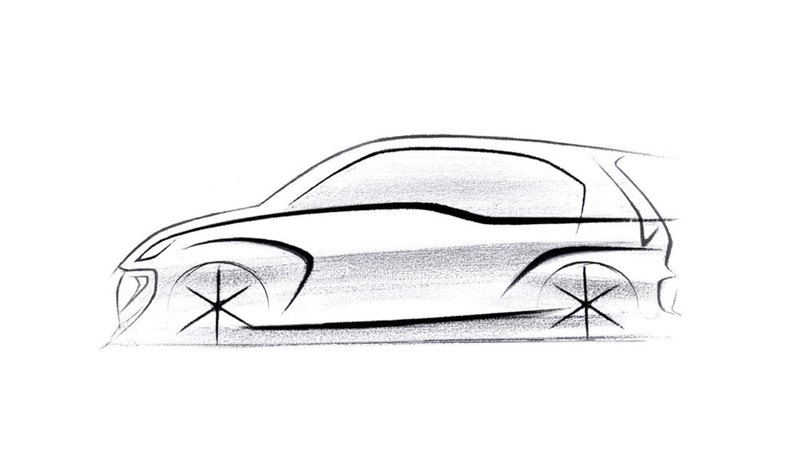 The design render gives a partial interpretation of the new Santro’s side profile as an array of teasers are expected in the coming weeks leading into the grand launch. The second largest automaker in the country is banking huge volumes on the affordable hatchback and it will compete against the likes of Tata Tiago, Renault Kwid and Maruti Suzuki Wagon R in the Rs. 3.5 lakh to Rs. 6 lakh (ex-showroom) bracket. Based on the modified version of the old i10’s HA platform, the new hatchback derives power from the updated 1.1-litre Epsilon petrol engine with five-speed standard manual transmission. It is the first Hyundai model to have AMT transmission dubbed ‘Smart Auto’ as an option. The exterior comprises of latest design cues from Hyundai’s global stable as the new Santro will adorn the smallest Cascading front grille. The side profile boasts tall pillars depicting a roomy cabin for five occupants. Moreover, it will share some interior elements with the Grand i10 as well. The top-of-the-line variants are likely to come equipped with touchscreen infotainment system, steering wheel with integrated control, Bluetooth and USB connectivity, smartphone integration, navigation, dual front airbags, ABS and EBD as standard, reversing sensor and camera, electrically adjustable ORVMs, etc. The 2018 Hyundai Santro has horizontal fog lamps positioned below the headlamp unit and has an upgraded dashboard based on the first generation i10 with instrument cluster having two analogue dials – tach on the left, speedo at the right and digital MID at the centre. The revival of the Santro name holds key for the hatchback’s success as the moniker was responsible for firmly placing Hyundai in the mainstream radar decades ago.